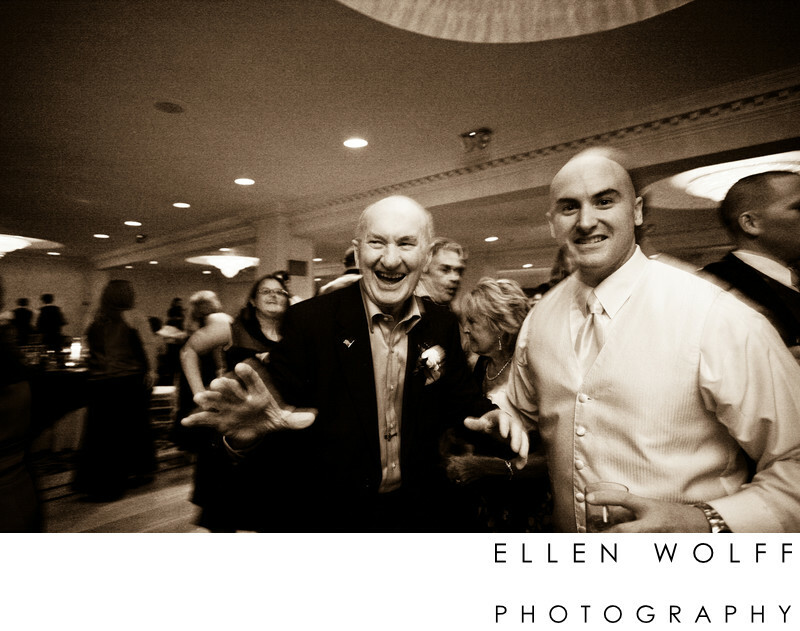 The groom and his grandfather. This is one of my favorite candid photos. I love the vitality of this grandfather. I am grateful for the opportunity to present this family with a portrait of this man that most certainly will be cherished for many generations. Location: Candlewood Inn St. Marguerite Church.